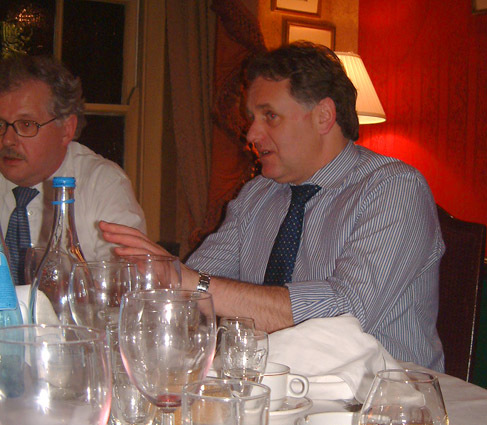 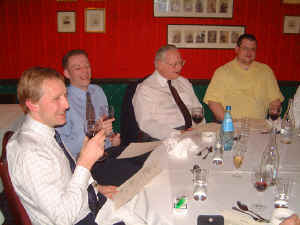 On 9th January, the Secretary organised a dinner at the Gay Hussar, Greek St, in honour of Dickon Love's year as Master of the Society. 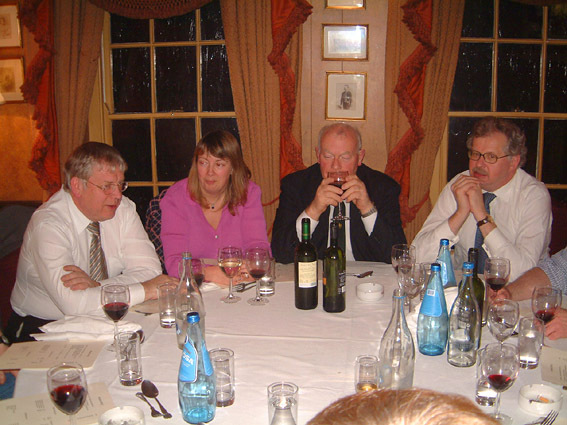 All the officers were present (with the exception of Stan Mason, Trustee) as were all those who served as officers during Dickon's years as Junior and Senior Steward. 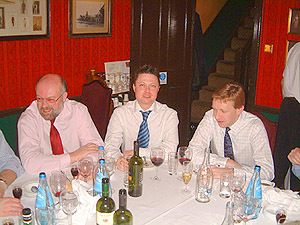 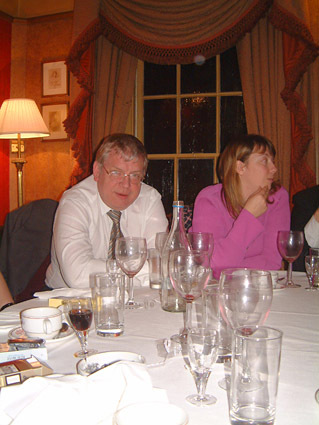 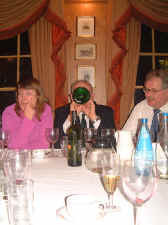 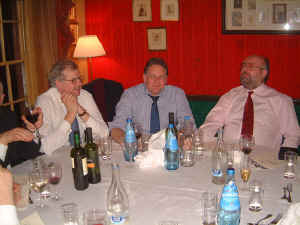 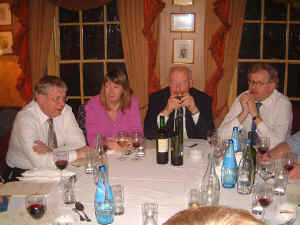 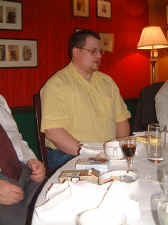 As ever, the occasion was extremely convivial and enjoyed by all. 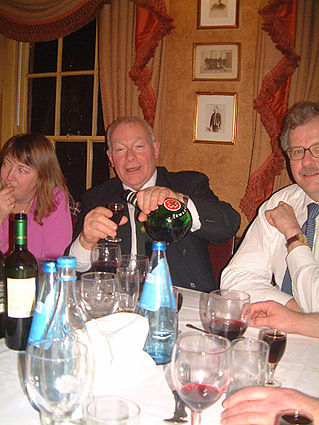 Each year, Jim Philips demonstrates that he is rather partial to "The Black Stuff". David House was not going to have any of it though!